@ChyslerAutos Super Bowl XLV Ad: Fresh? Wack? Or Meh? There was only one commercial representing the Chrysler brand this year during the Super Bowl but it was a big one. Check it out below. In this spot Chysler communicates a serious message that Detroit is still where its at when it comes to making quality cars. They enlisted the help of a well known Detroit citizen to help them get the point across. Why? Some are arguing that this is the best car commercial of the entire Super Bowl, maybe the best commercial this year period. While I wouldn’t go that far I won’t deny that this spot is definitely powerful. 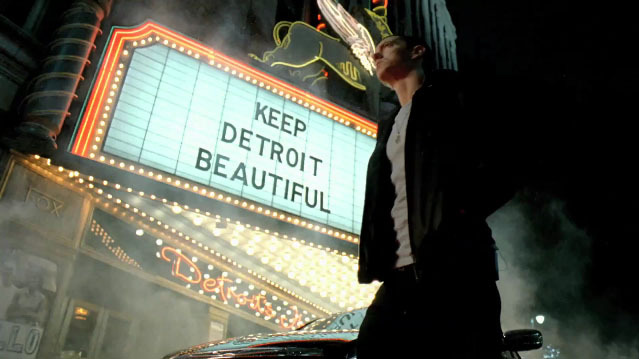 It is epic that they got someone of Eminem’s stature to join in on this to represent Detroit. Good job! What do you think about this? Do you also think this commercial is fresh? Or do you think slim shady sold out? Voice your opinion in the comments. ← @Chevrolet Super Bowl XLV Ads Part 2: Fresh? Wack? Or Meh?